The idea that a dark lip only belongs to the rebels, the goths, and the rock 'n' roll concert hoppers is just so passé. 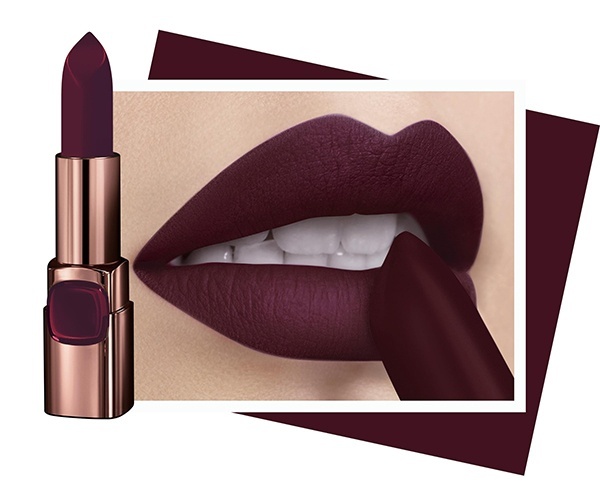 Anyone who wants to make a bold statement can simply swipe on an equally bold hue on her lips. Here, we've picked three shades that are sophisticated enough to suit every Pinay skin tone. Arabian Night's plum hue gives off a nineties vibe, but there's a way to wear it without looking like a throwback. Wear it with bronzed, flushed cheeks and a chic disheveled 'do for a simple yet unbelievably striking look. Plus, this dark shade's maroon undertone won't wash out deeper complexions—it actually makes morena skin look instantly brighter. Nothing says "read my lips" better than this sultry shade of dark red-brown. Flattering against many skin tones, this stellar lipstick is versatile enough to wear to a romantic candlelit dinner in your little black dress or to a rock concert in your leather jacket and boots. Either way, it will always give you a sophisticated, standout look with minimal effort. Spice things up and make an impact using Vin De Fantasme—a vibrant, deep shade of violet that packs a ton of pigment, perfect for the cocktail after the cocktail hour. And because blue hues cancel out yellows when paired together, this lipstick's cool undertone will make any stains on your teeth less noticeable—instantly giving the appearance of whiter teeth. The three dark shades are part of L'Oréal's Color Riche Dark Mattes collection, now available in leading department stores and drug stores for only P400 a piece. They're perfect for all morenas who want to give statement lips a try.